Congratulations to Ella who was cast as a Who in Seussical the Musical, playing at Stirling Theatre in January 2015. For more information, visit the Stirling Theatre webpage. 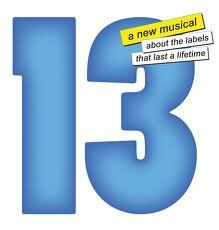 Congratulations to Meg, who is playing in the band for 13! The Musical, showing at Playlovers Theatre as part of the Perth Fringe Festival. Visit the Fringeworld website for more information. Previous Previous post: Congratulations, Gabriella!